I received a sample product in exchange for my honest review. All opinions expressed are my own. Christmas is one of the most magical times of the year. To me everything is better when it’s Christmas and I think that has to do with the fact that your senses are on overdrive for over a month. The beautiful bright lights, the cheerful uplifting holiday music and of course the wonderful aroma’s and smells that come along with Christmas all make this time of year extra special. Christmas only comes once a year so this year make it an unforgettable one with the help of Christmas Forest and Fresh Christmas Wreaths. Christmas Forest is a place where “magic happens everyday” with the beauty and aroma of a handcrafted fresh evergreen Christmas Wreath. Each of these wreaths is hand-made and is delivered right to your doorstep. We had a chance to pick out a special wreath for our home recently and I have to say I was very excited. After searching the vast selection of wreaths my husband and I finally decided on the 25″ Santas Favorite Wreath. 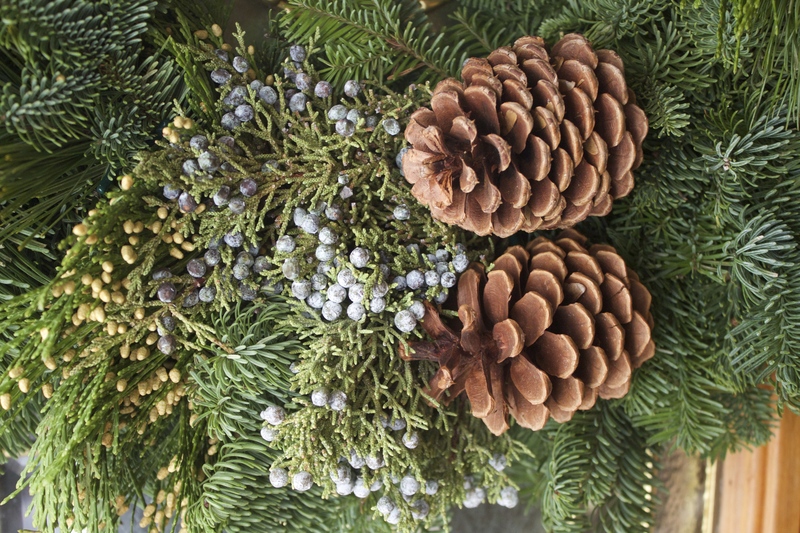 This classy Christmas wreath features an organdy gold bow and gorgeous Ponderosa pine cones against an aroma-rich backdrop of Noble Fir and Princess Pine, juniper and incense berries. The pictures just simply do not do this wreath justice. It’s just beautiful in person and every time I walk past my door I find myself smiling and admiring the beauty of the wreath. Not only is it beautiful but it smells SO good. My whole living room smells like fresh evergreen and I just love it. Whether you purchase the wreath for yourself this Christmas or as a gift for a loved one, a wreath from Christmas Forest is a great addition to your home this holiday season. For more information you can visit Christmas Forest online. 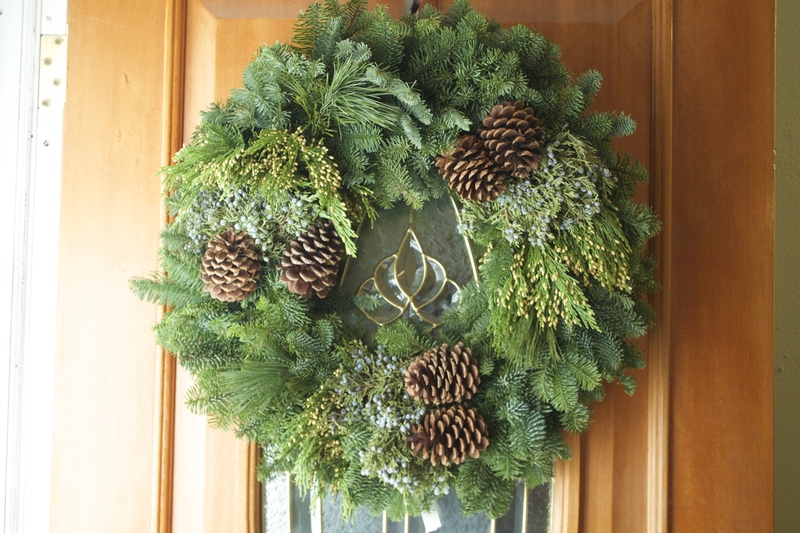 Win It: One lucky reader is going to win a Fresh Christmas Wreath from Christmas Forest. To enter follow the instructions below using Rafflecopter. I would love the 25″ Santas Favorite Wreath! 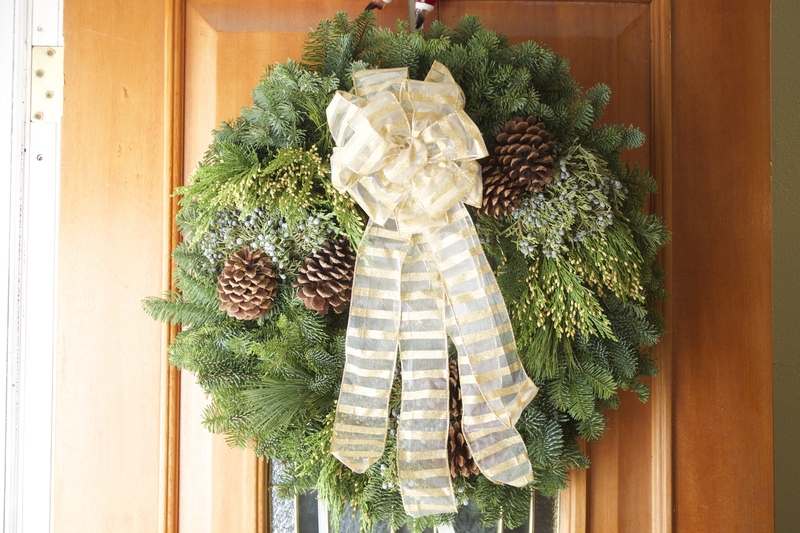 Or the 20″ Rustic Gold Wreath! Would love to display Santa’s Favorite wreath on my door. WendyNoel72 following you on Pinterest. Left a comment on the yummy pasta fagioli recipe post. Can’t wait to make this! thanks for sharing! I would choose the 25″ Santas Favorite Wreath. they’re all so beautiful. Visited the site and I really like 20″ Holly Classic Wreath , its just delightful. I just love the 20″ Jingle Bells Wreath. I would choose the 20″ Jazz-a-Tazz wreath. I like the blue details. I like the 20″ Cerulean Blue Wreath! I like the 20in Rustic. I like the America the beautiful wreath!! I like the 25″ Victorian Green Wreath. I’d choose 25″ Deluxe Wreath. I like the 20″ Merry Christmas Wreath. I would like the 20″ Gala Glitz Wreath. Thanks. I’d love the 20″ Cascade Wreath! I would want the America the Beautiful wreath. I like the 20″ Rustic Gold Wreath. I like the traditional Merry Christmas wreath.